Summary: Kato is a Ugandan boy who must trek far each day in his bare feet for water at the village well. On his way home with a heavy load, he notices 2 things: the aid worker’s truck with a treasure (a load of shoes) and a beautiful flower that he can use to trade for a pair of shoes. All the children dance in celebration after receiving their new shoes. Then the aid worker drives away pleased with the flower on her dashboard. 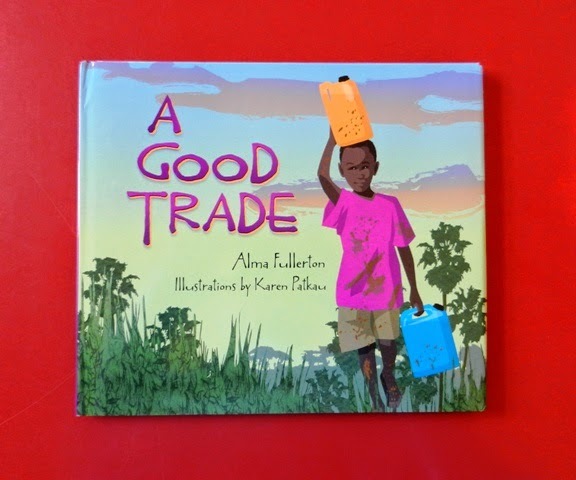 Hanna’s Comments: The beauty and simplicity of this story allows young listeners to appropriately learn some of the hard truths about how some children in our world live in dire circumstances. I suggest pairing this story with information on actual missionary work that is being done in Uganda/Central Africa. I have written such a lesson that includes fun activities as well. Contact me via e-mail if you would like to purchase it.